Originally $4.95, Now $1.95! Our Victorian Holiday Tape is just the thing for any holiday gift or package. 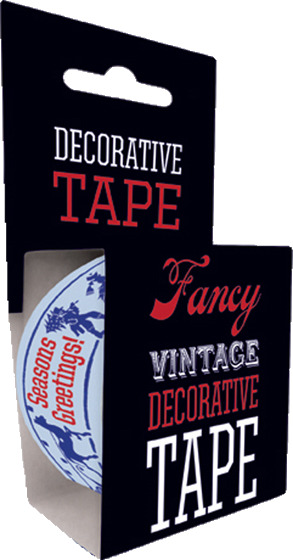 Adorned with charming holiday revelers skiing and sleighing, our decorative tape is 49.2 feet long and fits standard one-inch tape dispensers.